There had to be a better way to transport local veterans to their medical appointments. That was the premise that has ultimately led to the Band of Brothers purchasing a new veterans medical transport vehicle and launching a transport program. 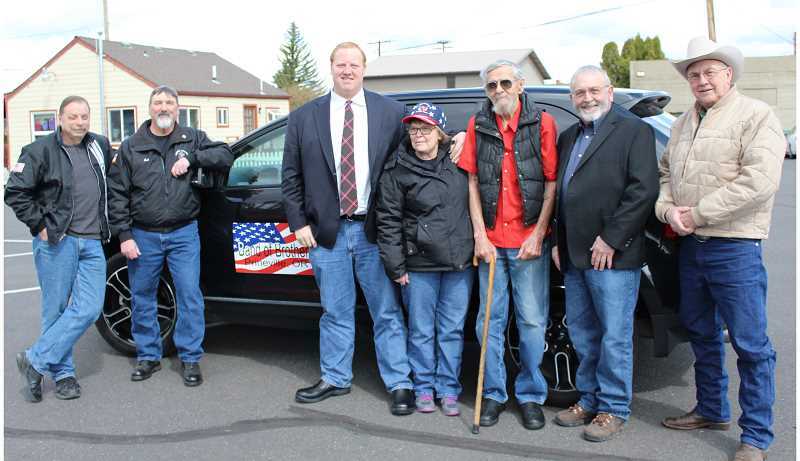 "Prineville has an aging veteran population (which has) recurring doctor appointments at the VA clinic in Bend and Portland," said Band of Brothers member Bob Eck, who played a role in landing the new vehicle. "Many of these veterans are unable to drive themselves to these appointments and have no one to turn to. There is a shuttle which originates in Bend that takes veterans to their appointments at the VA hospital in Portland. It stops in Redmond to pick up additional passengers, however, they do not run to Prineville. The Prineville shuttle service is designed to fill that void. Picking up clients at the Elks Lodge parking lot and delivering them to the pick-up point in Redmond and then bringing them back to Prineville from Redmond." About three years ago, Seth Crawford, who was then a Crook County Commissioner, was talking to Diane Dendy, one of the volunteer VA shuttle drivers, and she told him about all of the trips she was making back and forth to get local veterans to their medical appointments. "To me, there had to be a better way," said Crawford, who became county judge in January. Around a year a half ago, the county ended up locating some funding for a program that would support the transport of local veterans, but the $30,000 would only be available for one year. "We looked at it and asked how we could do this more efficiently," Crawford said. "There was an opportunity to donate this money to the Band of Brothers and then have them manage the program and purchase the vehicle." The county court approved allocation of the funds for purchase of the vehicle to the Band of Brothers this past November. According to Eck, it took about a month to find a suitable vehicle, a Ford Edge with very low mileage. Then, they had to secure a list of volunteers from their general membership and hammer out other details. 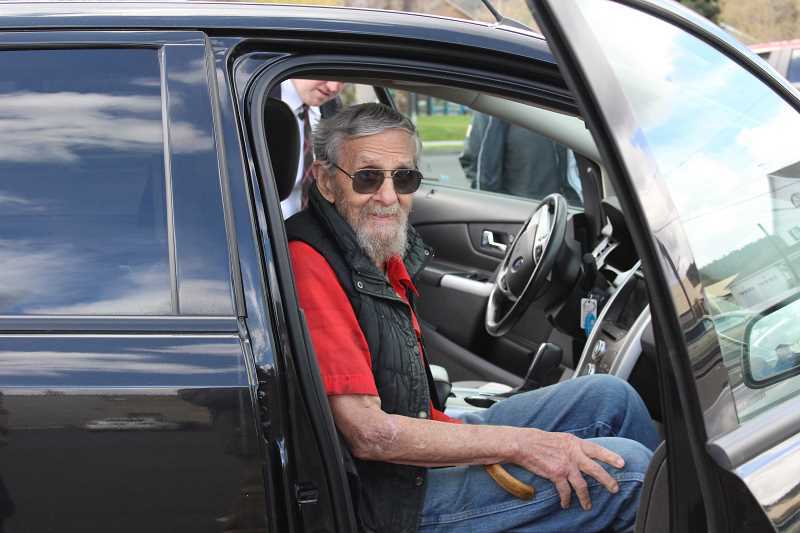 Finally, last week, Asa Laughlin became the first local veteran to make use of the new vehicle and service. Going forward, Eck estimates they will transfer about two to three clients three times per week to make the Portland VA shuttle. The number of trips to the Bend clinic are harder to determine. Eck credits Crawford and Dendy for taking the new vehicle from idea to reality and says that the entire Band of Brothers Board of Directors helped him and others develop the program. Though the service is still very new, Eck said it has been well received by local veterans. "As the word spreads, I believe we will see an increase in clients," he added. Crawford likewise is pleased to see the service succeed. "It is just so exciting to be able to give that service to these veterans who have sacrificed so much for our community and our country," he said.